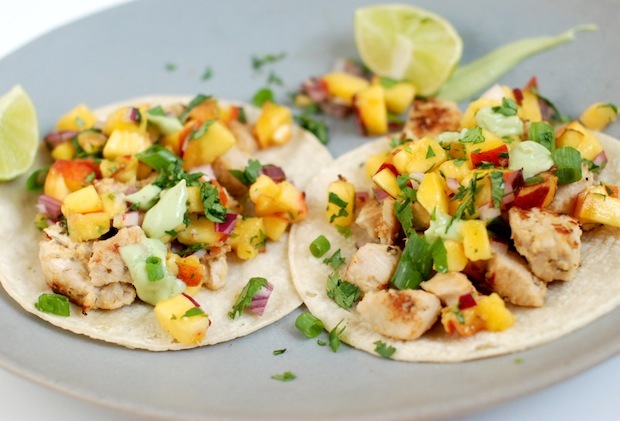 Mexican food gets me every time…taco tuesday in our house is a real thing…so is taco wednesday and taco monday on occasion. 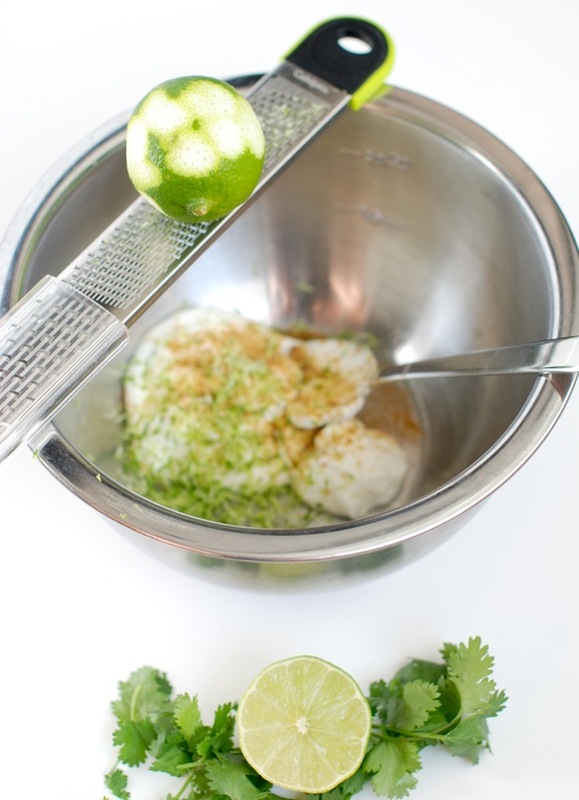 So many different variations can be made…with a couple of staple base ingredients: lime, cilantro, avocado. I love em all! 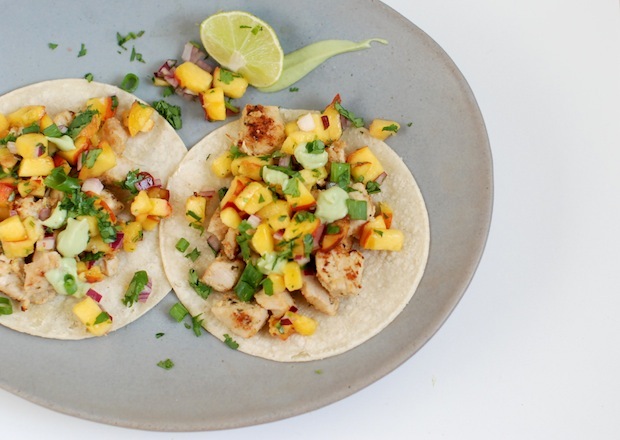 This chicken taco variation is super fresh tasting. And heaps more healthful than the traditional ground beef, cheese, sour cream version (though let’s not diss that one…it’s a classic). But feel free to gobble a couple of these up without feeling too guilty… i know i did! I also used the leftover chicken and salsa the following day on my lunchtime salad. Delicious! 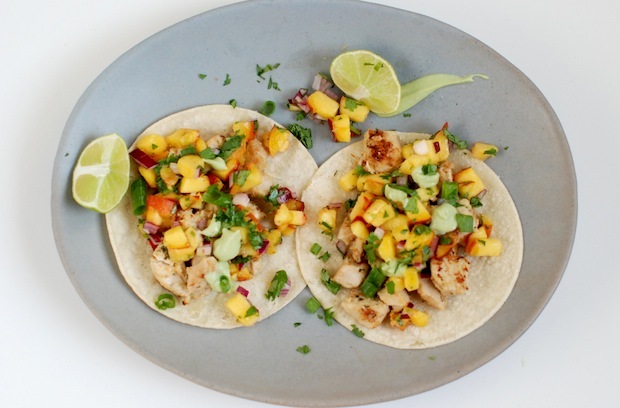 A fresh peach salsa and avocado cream from Jillian Harris’ blog were the perfect compliments to the chicken. I made some slight tweaks to the avocado cream. I used less buttermilk and added a touch of olive oil. I also stirred in a generous helping of smoked paprika to give additional flavour. Combine with the chopped chicken breasts and place in a ziploc bag. Allow chicken to marinate at least 1 hour. Saute chicken allowing it the juices to evaporate. Spoon onto warmed corn tortillas. 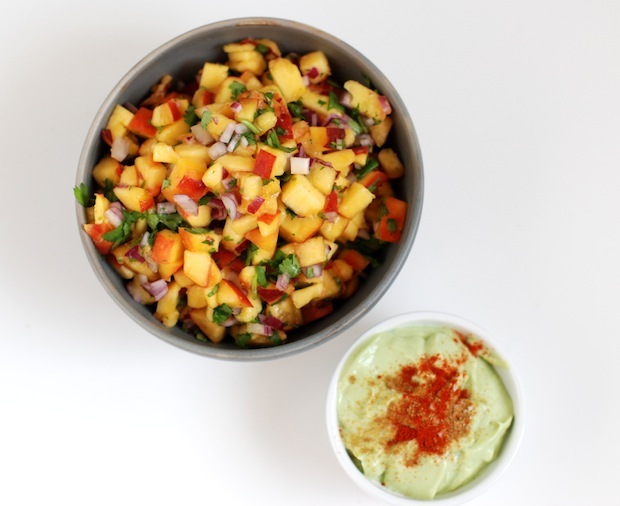 Top with salsa and guacamole, roughly chopped cilantro and freshly squeezed lime juice.